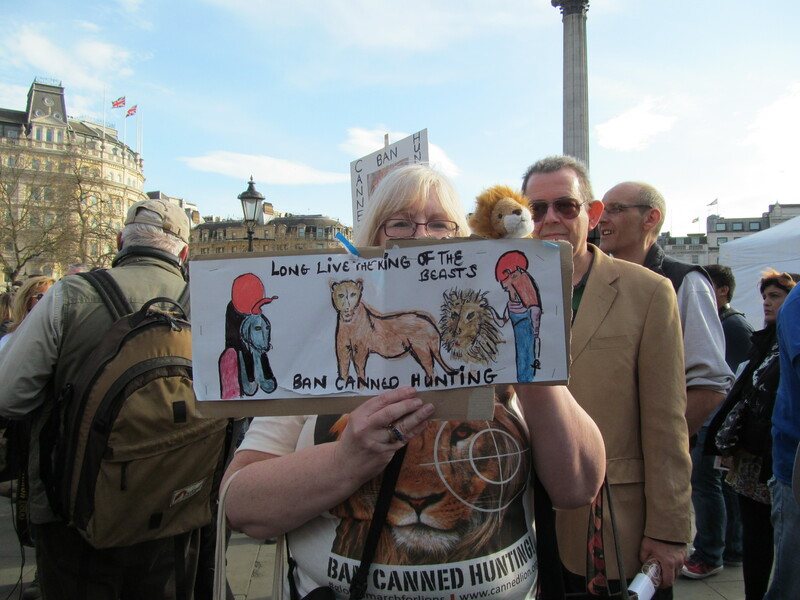 People asked me who the figure was that I depicted on my banner alongside the lion representations. 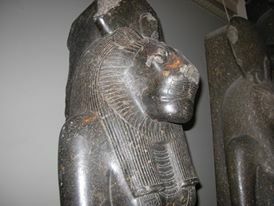 It is Sekhmet, the lion headed goddess from Ancient Egypt. Alongside animal activism my interests include esoteric interests and due to my love of lions since childhood I was delighted to encounter Sekhmet in the 1980s. The photo on the right is of one of the Sekhmets in the British Museum. 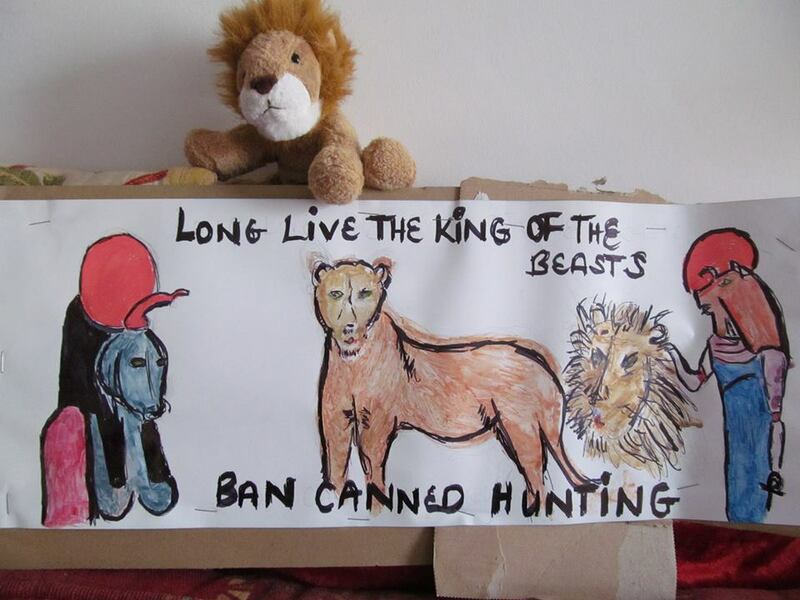 As I was drawing the images for the banner I was depicting my intent to attend the march and to draw protection towards the lions so it is a kind of charm to defeat the hunters and make the abhorrent business of canned hunting illegal. 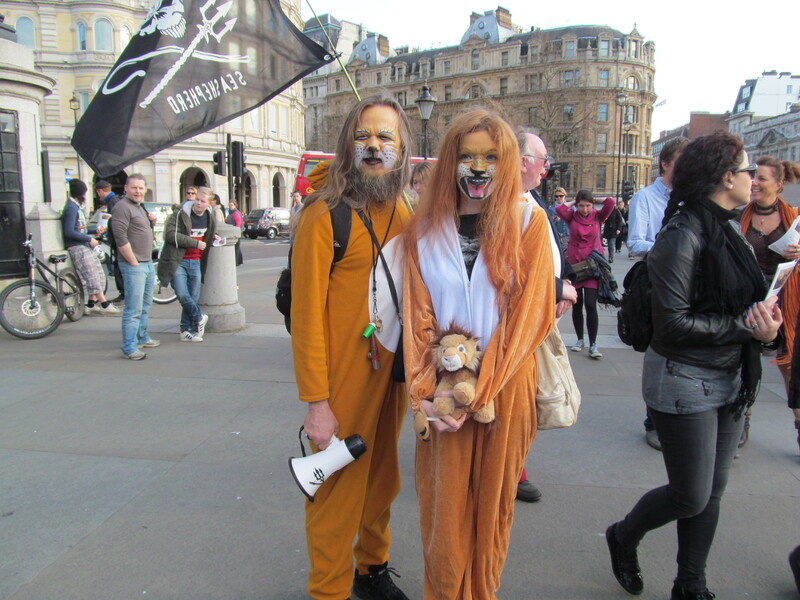 There was a Global March For Lions on 15th March 2014 to campaign against the barbaric and pseudo brave man’s sport of canned hunting in South Africa. Oh where to start as there is so much wrong with this enterprise? Whoever conceived this “business plan” should be thrown to the lions. Lionesses are objectified into breeding machines. When they no longer produce they are either killed for the bone trade or are enrolled on a list for trophy hunters. Cubs are immediately objectified too being wrenched immediately from their mothers for “cub petting” and to be rented out to other facilities. 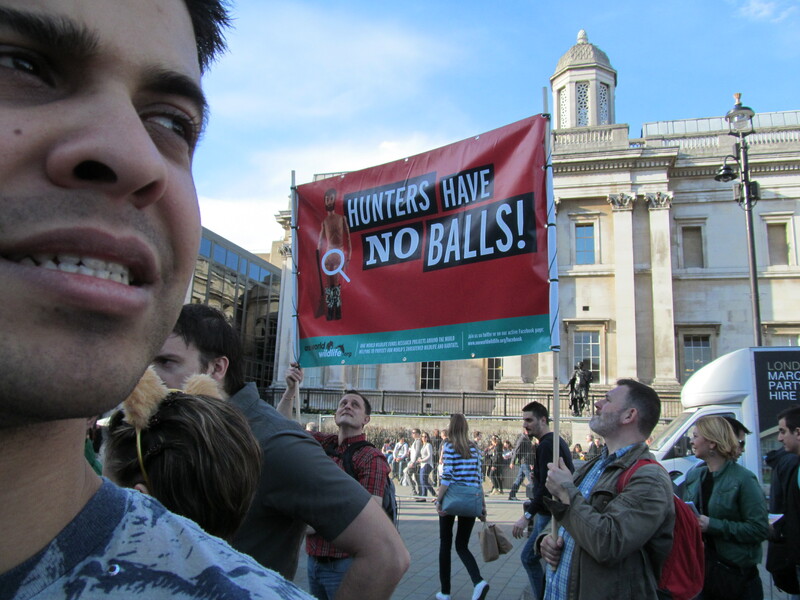 Someone at Trafalgar Square yesterday was remarking that it is like running human baby farms. These are the “lucky” cubs by the way. If there has been inbreeding and a resultant birth defect in the female cub, it will be killed deemed unworthy of life as it will not have the kerrching factor to produce trophy offspring. Breeders advertise for volunteers to assist with the feeding and care of the cubs and these people will pay large fees and are duped into feeling that they are privileged to be involved. Apparently they are unaware that these cute little cubs that they are nurturing are doomed to be shot. I would be so distraught if I had volunteered and found out later that I had been part of this. I would have to take action. It does not bear thinking about. The abuse and objectification of these noble animals goes on as when the cubs mature a little they are rented out for walking with lions experiences. Of course these lions are ideal for this having been raised by humans so are used to being manhandled and trust them. When they reach the next stage the horror story really begins. They will have just reached sub-adulthood and they are packed into overcrowded cages where they await their fate. When they reach adulthood they are seen as trophies to be literally picked off. The lions are put in small camps from which there is no escape becaue that would defeat the object. 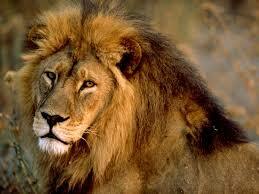 Often the lions are drugged to make it easier for the so called hunter to score a hit. Once shot, these noble creatures who have had no real life and no hope since their embryo stage will have their heads removed to end up on someone’s wall and their bones sent to the East to be ground up for so called aphrodisiacs or medicine. This vile enterprise is totally legal to add insult to injury. TheLondon mane event was held in Trafalgar Square on a sunny Saturday afternoon so there were a lot of people wandering around. 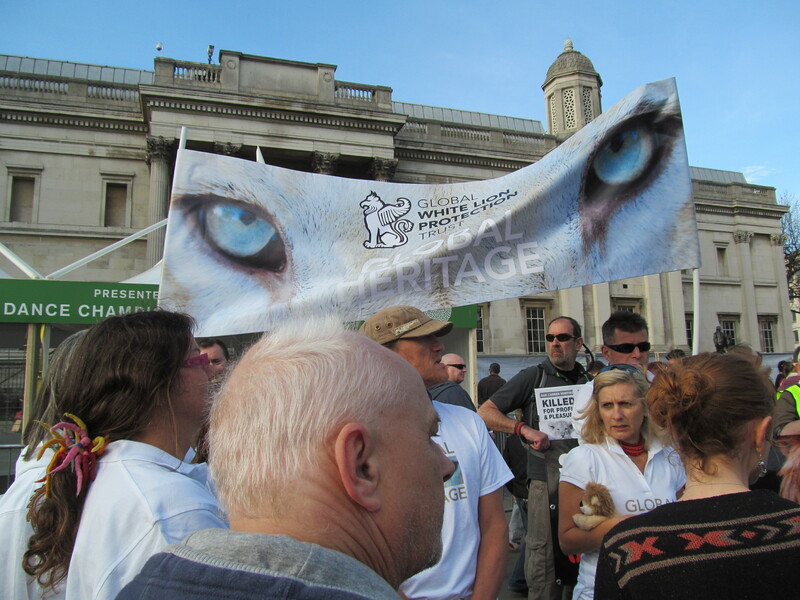 Groups of marchers gathered in several London points and marched along the route to the square chanting, raising awareness and handing out leaflets. 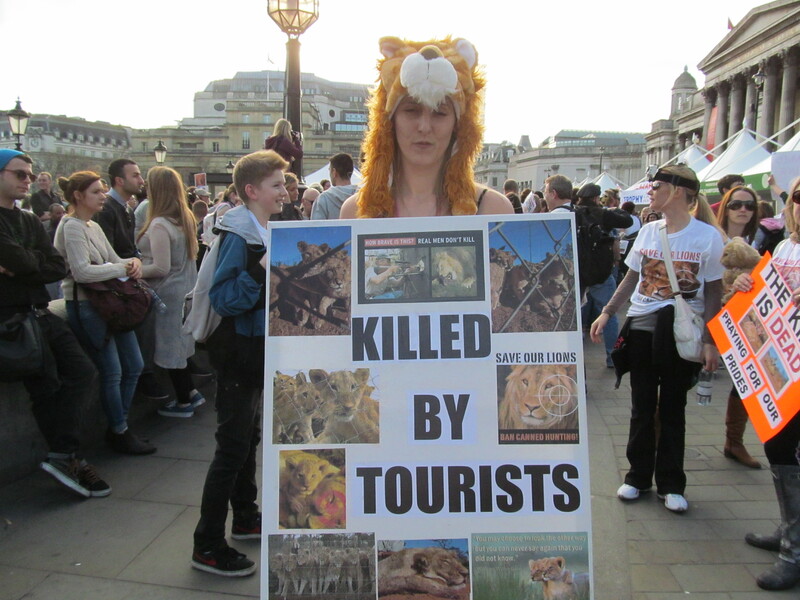 I joined the march that began in Leicester Square. I arrived early and walked around handing out some leaflets. Several people took them but there are still too many robots around who shrug their shoulders and show no interest and do not seem to be prepared to think about anything outside of their own lives. They are self absorbed and are only interested in anything that affects them on a local level, local usually being so local it can be minimised to what happens in their house. But as I said some people took the leaflet and hopefully they will mention it to someone that they talk to and so on. That’s the way it rolls. That is the way things can change. Education and raising awareness so that people choose not to go to any facility that offers cub petting or a walking with lions experience. There were so many good posters and so many wonderful protestors there . Here are a few of them that I photographed. I was talking to his lady as I handed out my leaflets. She told me that she was part of the team that folded them. 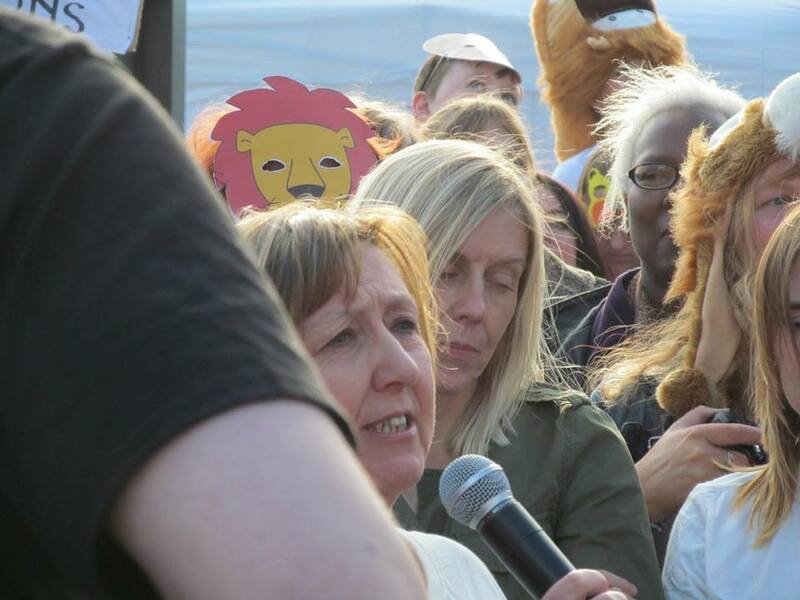 I did not realise at the time but she is from Lion Aid. She also gave an inspiring talk. Other speakers were Jerome Flynn from “Game Of Thrones” who urged us to focus our aims and intention with our hearts as the laws of government should reflect what the people want in their hearts. 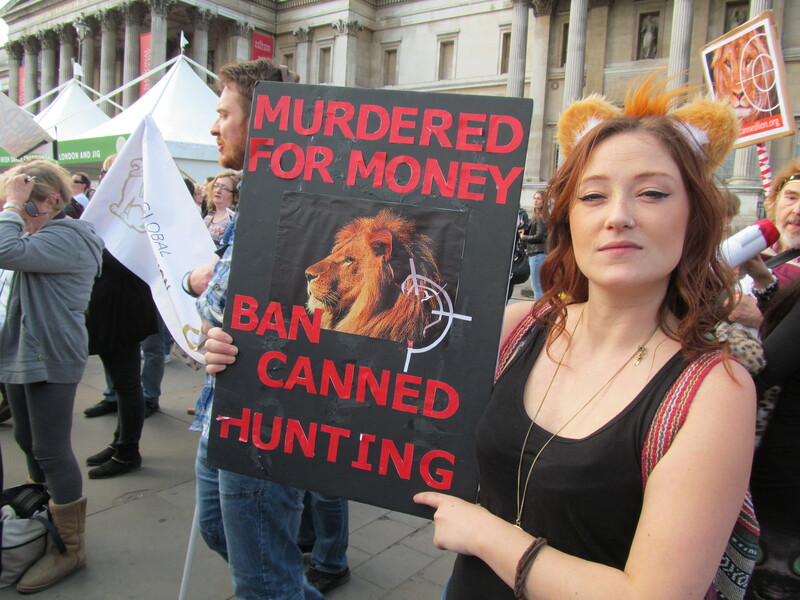 He appealed to the crowd to contact their MP and tell them what we want and not be silent until canned hunting and trophy hunting stops. 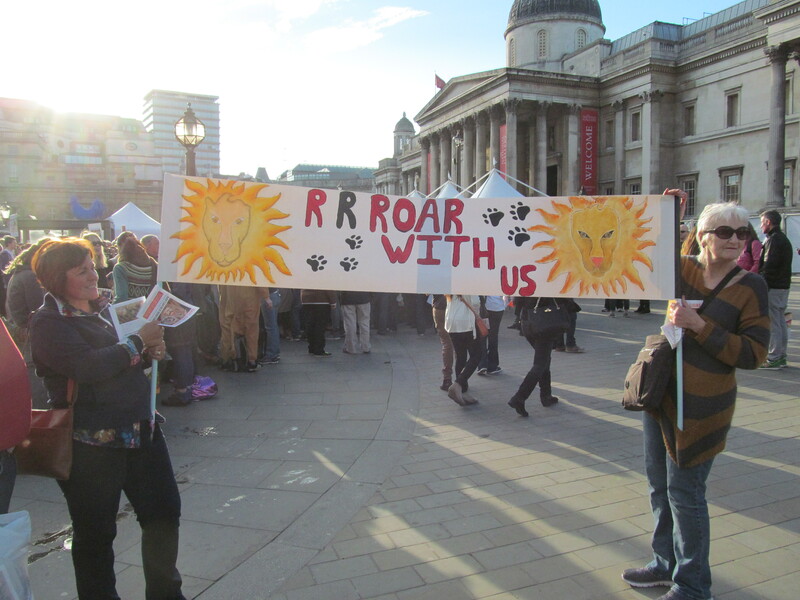 John Rendall and people from Lion Aid who all inspired the crowd to continue the action. with a happy ending so that Aslain can become Aslan again. 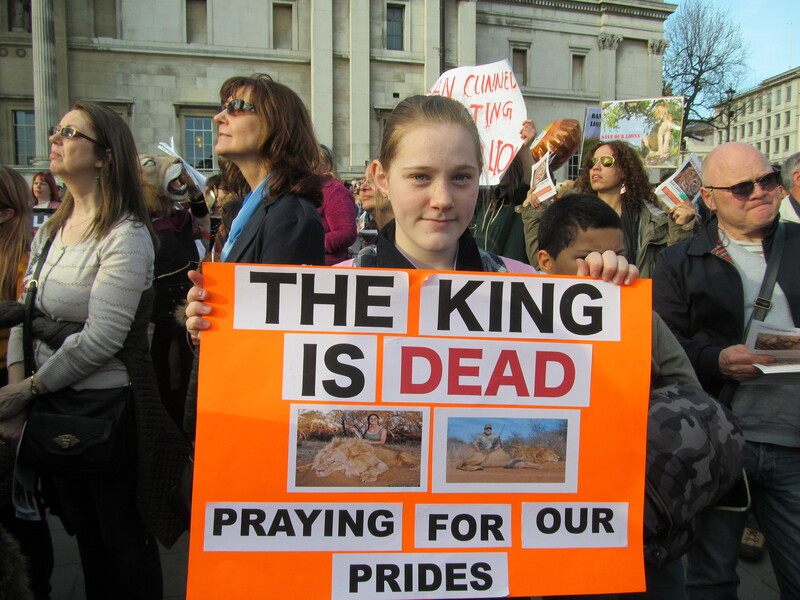 This entry was posted in Ancient Egypt, Environment, Lions and tagged Canned Hunting, Global March For Lions London, Lion Aid, Lions, trafalgar square, United Against Trophy Hunting, walking with lions, White Lions. Bookmark the permalink.